At Georgia Highlands College you can advance your career by earning your bachelor’s degree in nursing. The RN-BSN Completion Program is offered completely online so you will be able to continue working while going to school. The program can be completed in as little as three consecutive semesters full-time or four or more semesters part-time. You will be required to come to an Orientation session once in the summer prior to beginning the program. To provide a teaching/learning environment which promotes inclusiveness, accessibility and provides learning opportunities, programs and services of excellence in response to documented needs. To provide educational opportunities designed to produce a baccalaureate graduate nurse who demonstrates professional, ethical and accountable behaviors, interpersonal communication, comprehensive assessment , clinical decision-making and collaboration skills, teaching and learning capabilities, and provides evidence-based practice and leadership in diverse and complex health care settings. Integrate knowledge gained from the arts, sciences and nursing to deliver safe, ethical, and therapeutic nursing care. Apply principles of leadership/, management, and evidence-based practice to positively impact healthcare outcomes. Synthesize reliable evidence and research from multiple sources to improve practice, make clinical judgments and positively influence patient outcomes. Manage care to achieve quality, cost effective and ethical outcomes in the delivery of health care for individuals, families and populations. Explore the impact of political, financial, regulatory and environmental agencies on quality patient care outcomes and nursing practice. Analyze effective communication and collaboration skills within an inter-professional team to provide patient-centered and evidence-based nursing care. Apply health promotion and disease prevention strategies to assist individuals, families, groups, and communities in maintaining and/or improving health across the lifespan. The application process is competitive and a minimum cumulative GPA of 2.5 out of 4.0 is required for consideration. Acceptance is based on cumulative GPA, completed application and supporting materials (RN license, verification of employment, references), and acceptance to GHC. Students may be admitted fall, spring, or summer semesters for part time or full time study. If applying for initial admission to GHC, must submit a $30.00 non-refundable application fee made out to Georgia Highlands College, a copy of your high-school transcript and official transcripts from any college(s) previously attended. Submit all application and supporting materials to attention of the Admissions office: Georgia Highlands College 3175 Cedartown Highway Rome, GA 30161 by March 31st. Admission to GHC with completed RN-BSN application. A current valid RN license to practice nursing in the U.S. with no current disciplinary actions. Graduation from a nursing program accredited by either the NLNAC, Accreditation Commission for Education in Nursing (ACEN) or the Commission on Collegiate Nursing Education (CCNE). Documentation of employment as RN or passage of NCLEX if new graduate. A minimum cumulative GPA of 2.5 in the required general academic courses, and a grade of C or better in BIOL 2121K, 2122K, and 2161K; ENGL 1101 and 1102; MATH 1001 or 1111; and MATH 2200. A $30 non-refundable nursing application fee made out to Georgia Highlands College/BSN. 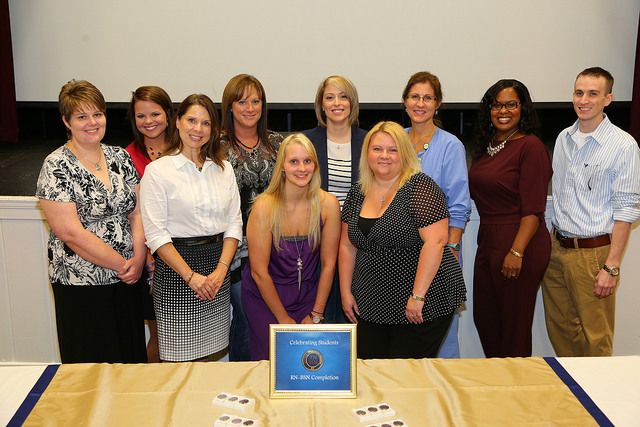 ** Georgia Highlands College participates in Georgia’s RN-BSN Articulation Plan. See below. Be a graduate of an accredited ASN or diploma program within the last four years, or be a graduate from one of these programs for more than four years ago with documentation of 1,000 hours of clinical nursing practice in the last three years. Hold a current, valid RN license to practice in Georgia. Graduates of ASN programs who meet the above criteria will be granted credit by transfer of 20 semester hours and credit by exam for 16 semester hours. Graduates of diploma programs who meet the above criteria will be granted credit by exam for 36 semester hours. The credit-by-exam hours will be earned by satisfactorily completing NURS 3301 Concepts of Professional Nursing. The Georgia Highlands College Nursing Department has prepared this handbook to inform the RN-BSN students of the policies and guidelines specific to this online nursing program. 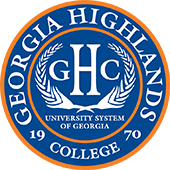 This handbook is a supplement to the Georgia Highlands College catalog, which covers the general institutional policies as they relate to all students. It is the responsibility of each nursing student to review the handbook independently and to refer to it as needed during his/her enrollment in the nursing program. All statements in the RN-BSN Nursing Student Handbook or announcements of present nursing program policies are subject to change at any time without notice. Changes will be posted on this web site.